None of Ukrainian soldiers was killed. 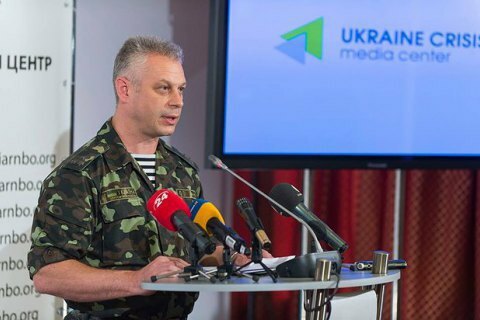 The antiterrorist operation (ATO) forces have lost no troops killed but four have been wounded in Donbas over the past 24 hours, a spokesman of the presidential administration for the security operation, Col Andriy Lysenko, said at a briefing on 31 July. The situation in the ATO area escalated to a certain extent yesterday as militants stepped up fire attacks in all directions. A total of 70 cease-fire violations were registered. In Maryinka, two groups of militants' sabotage groups attempted to approach the ATO positions, but had to retreat.